Contribution to the 2nd International Conference "Tolstoy and World Literature" in Yasnaya Polyana and Tula (Russia) from August 12 to 28, 2000. It was in 1884 that Count Leo Tolstoy continued his personal confession in My Religion - he found in the principle of nonviolent resistance (which he called non-resistance) the key to understand the Gospels, a new understanding of his life and of modern society in his age. Nonviolence became the ethical basis for his doctrine of Truth Force which has later been developed by Mahatma Gandhi in his Satyagraha philosophy and Dr. Martin Luther King jr. in his concept of Soul-Force. Tolstoy learned Hebrew and Greek in order to read and translate the Holy Scripts of Judaism and Christianity in their ancient translations. 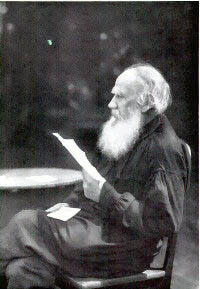 Before he was excommunicated by the Orthodox Church, he had written A Criticism of Dogmatic Theology and The Gospel in Brief, and, in addition, Tolstoy later gave an account of Christian doctrines in a version dedicated to children, which actually explained the originary meaning of Christ's teachings to all people who could read and listen. The establishment of general military service is like the activity of a man who wants to prop up a rotten house. The walls are crumbling - he puts rafters to them; the roof slopes inwards, he build up a framework; boards give way between the rafters, he supports them with other beams. At last it turns out that although the scaffolding keeps the house together, it renders it quite uninhibitable. For Governments, general military service is the utmost limit of violence required for the support of the whole system; for subjects, it is the utmost limit of possible subjection. It is the key-stone in the arch which supports the walls, whose removal would demolish the whole building. 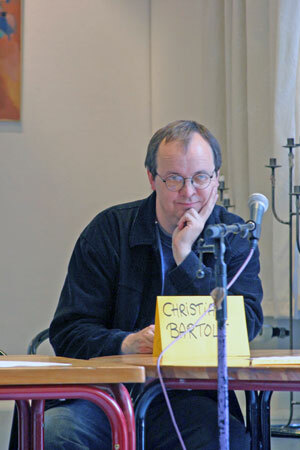 It was quite significant that in the nineteenth century North American preachers gave up their offices within their denominations to found Socialist communities influenced by the ideas of the French Utopian thinker Charles Fourier in order to restore the pioneering spirit of the Pilgrim Fathers in post-revolutionary USA against the expansionist economism of early capitalism. Among those who wanted to revive the revolutionary spirit of the independence struggle against the British colonial power, we find the first secular theorists of Non-Resistance with arguments even for non-believers, atheists or agnostics. In his book The Kingdom of God is Within You Tolstoy quoted the voices of Adin Ballou and the abolitionist William Lloyd Garrison who opposed the system of slavery. The Kingdom of God is Within You captured young Gandhi's interest as an Indian lawyer in South Africa and won him over to follow Tolstoy's influence. We register our testimony, not only against all wars, whether offensive or defensive, but all preparations for war; against every naval ship, every arsenal, every fortification; against the militia system and a standing army; against all military chieftains and soldiers; against all monuments commemorative of victory over a foreign foe, all trophies won in battle, all celebrations in honor of military or naval exploits; against all appropriations for the defence of a nation by force and arms on the part of any legislative body; against every edict of government, requiring of its subjects military service. Hence we deem it unlawful to bear arms, or to hold a military office. These words indicate the principal refusal to cooperate with a system of injustice. The Roman law 'ius talionis', the law of retaliatory violence, had been laid down in the Law of Twelve Tables. The Non-Resisters criticised revenge as an endemical principle of contagious violence. The Non-Resisters were inspired by the ancient prophetic tradition and by their Christian political concept of nonviolent redemption. If we abide by our principles, it is impossible for us to be disorderly, or plot treason, or participate in any evil work; we shall submit to every ordinance of man, for the Lord's sake; obey all the requirements of government, except such as we deem contrary to the commands of the gospel; and in no case resist the operation of law, except by meekly submitting to the penalty of disobedience. The individual boycott of war and poll taxes, of which Henry David Thoreau had given an example before writing his inspiring essay On the Duty of Civil Disobedience against the Government, the massive individual conscientious objection against all military services, against war preparation or participation in war, according to Leo Tolstoy's recommendation, the historical example of Indian Satyagraha in South Africa guided by Mahatma Gandhi, and the boycotts of the Civil Rights Movement claiming equal rights for all citizens guided by Dr. Martin Luther King jr. - all these realised the principle of non-cooperation with any political system which is based on injustice. It appears to us a self-evident truth, that, whatever the gospel is designed to destroy at any period of the world, being contrary to it, ought now to be abandoned. If, then, the time is predicted when swords shall be beaten into plowshares, and spears into pruning-hooks, and men shall not learn the art of war any more, it follows that all who manufacture, sell, or wield those deadly weapons do thus array themselves against the peaceful dominion of the Son of God on earth. Hence, we shall employ lecturers, circulate tracts and publications, form societies, and petition our state and national governments, in relation to the subject of Universal Peace. It will be our leading object to devise ways and means for effecting a radical change in the views, feelings, and practices of society, respecting the sinfulness of war and the treatment of enemies. Good deeds cannot be performed under all circumstances without self-sacrifice, privations, suffering, and, in extreme cases, without the loss of life itself. But he who prizes life more than the fulfilment of God's will is already dead to the only true life. Such a man, in trying to save his life, will lose it. Furthermore, wherever non-resistance costs the sacrifice of one's life, or of some essential advantage of life, resistance costs thousands of such sacrifices. It is much safer to act justly than injustly; to endure an offense rather than resist it by violence; safer even in regard to the present life. If all men refused to resist evil, the world would be a happy one. Hence, if all were to follow the commandment of non-resistance, there would manifestly be neither offense nor evil-doing. If even the majority were composed of such men they would establish the rule of love and good-will even toward the offenders, by not resisting evil by evil nor using violence. Even if such men formed a numerous minority, they would have such an improving moral influence over society that every severe punishment would be revoked, and violence and enmity would be replaced by peace and good-will. If they formed but a small minority, they would rarely experience anything worse than the contempt of the world, while the world, without preserving it or feeling grateful therefor, would become better and wiser from its latent influence. And if, in the most extreme cases, certain members of the minority might be persecuted unto death, these men, thus dying for the truth, would have left their doctrine already sanctified by the blood of martyrdom. Peace be with all ye who seek peace; and may the all-conquering love be the imperishable inheritance of every soul who submits of its own accord to the law of Christ. As a young student, Romain Rolland (1866-1944) surprisingly received a long letter written in French language by Leo Tolstoy. This was in 1887. Romain Rolland wrote altogether seven letters to Tolstoy between 1887 and 1906. Most of these letters were reflections about the role of art and the artist in society. Tolstoy replied only once, to the first letter of Rolland. 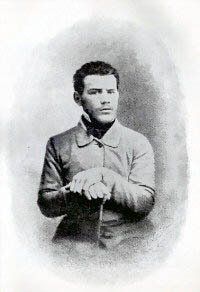 Rolland was inspired by Tolstoy's political writings. 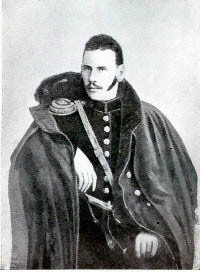 Tolstoy's writings about the Doukhobors inspired Rolland to write his drama Le Temps viendra (The Time will come) against the Boer War in 1903. In 1911, Rolland published Vie de Tolstoi (The Life of Tolstoy). In 1924, Rolland published his famous Gandhi biography. Rolland wanted to create an International of Intellectuals to stop the war machinery. Romain Rolland was one of the very few European intellectuals who spoke out against the First World War right from the beginning. Actually he followed Tolstoy's example thinking responsible for his generation when he took a Pacifist stand against the military system. Among his intellectual friends was Stefan Zweig (1881-1942). Inspired by Tolstoy, Stefan Zweig wrote his novel Der Zwang (Der Refractair) about a conscientious objector in 1918, translated Rolland's drama The time will come into German language in 1919. He was invited to the official celebrations of Tolstoy's 100th birthday in 1928. In 1928, he wrote a magnificent portrait of Tolstoy which was later published in Master Builders: A Typology of the Spirit (New York 1939). See the bibliography Peace in Print for references to Leo Tolstoy and the other gentlemen mentioned here.